The No.74 is a glass "squash head" AntiTank grenade. 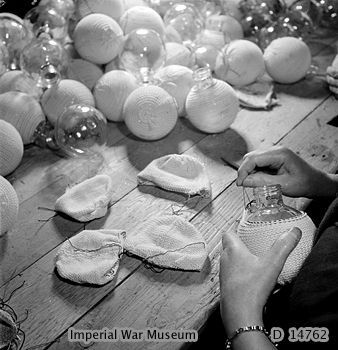 The glass body contained plastic explosives and around the whole there was a sticky compound, covered by two steel halves (during transport, not on photo). On impact, the glass would break, creating a bigger surface. Stuck to the side of the tank, it would explode after several seconds. 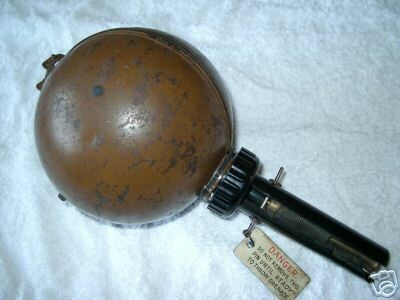 The fuze was located in the bakelite handle and functioned similar to the Russian UZRG mechanism. Length: 258mm , Diameter: 127mm. Weight: 1022gram. 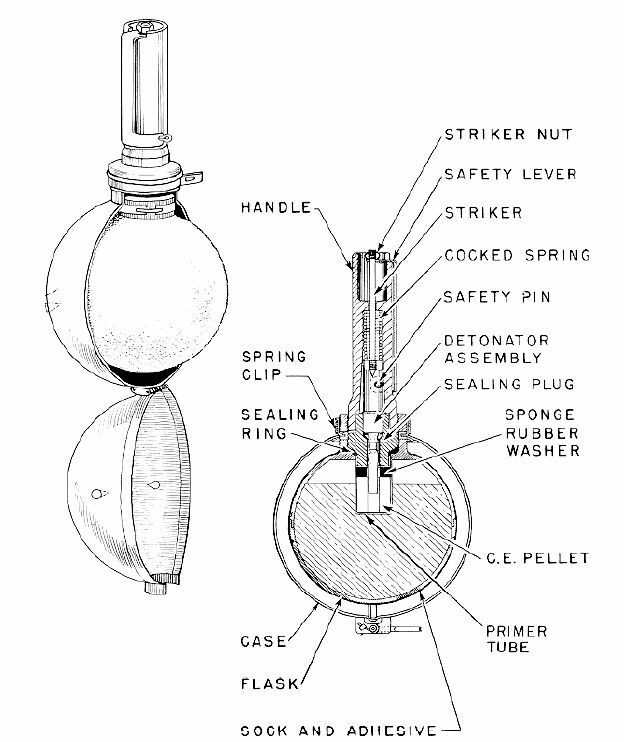 Detonator group for the ST. grenade. 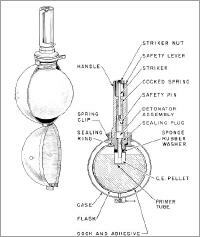 Photo below shows grenade in its metal shells. Origin photo unknown. The scanned page shown below is in my collection. 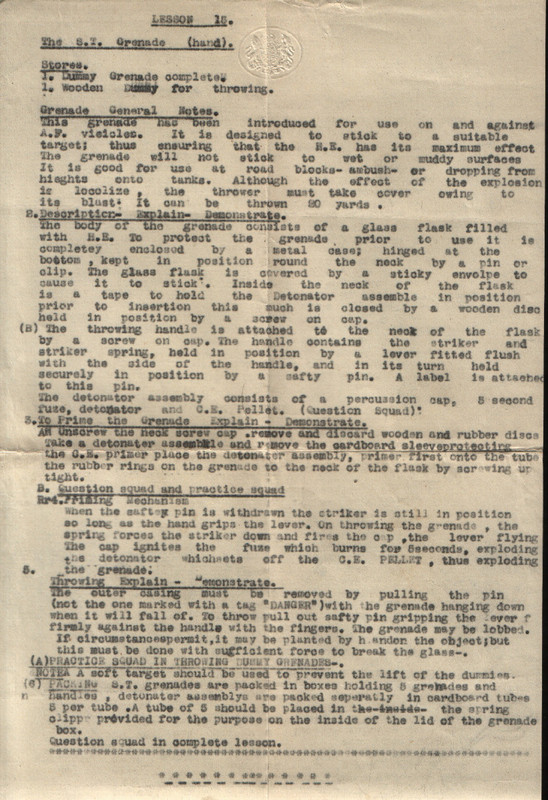 It seems to be an original instruction written in the style of the "Small Arms Training" pamphlets.